One of the greats of jazz guitar has left us at the age of 73. 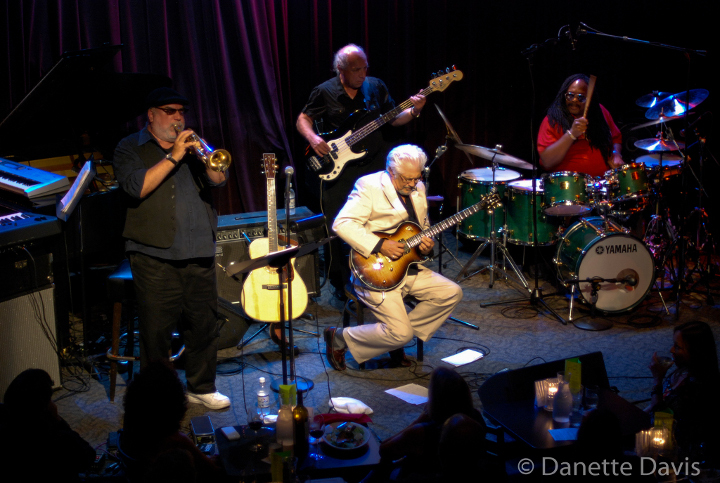 Larry Coryell was one of the founding figures of jazz fusion, but produced a significant body of work that bridged many styles. His group Eleventh House provided a unique take on the combination of jazz and rock that was distinct from contemporaries such as Mahavishnu Orchestra, Return to Forever, and Weather Report. Coryell was born in Texas but grew up in Washington State, where he got his start playing in rock and roll bands. After graduating from the University of Washington, he moved to New York City, where he landed spots backing Chico Hamilton and Gary Burton. His first solo recording came in 1968. In 1973, he formed Eleventh House with childhood friend Mike Mandell (keyboards), Alphonse Mouzon (drums), Randy Brecker (trumpet), and Danny Trifan (bass). The group only lasted until 1976, though their recordings form part of the essential fusion repertoire. Various members had reunited from time to time, as well as working together in combinations. For a time after the end of the Eleventh House, Coryell concentrated on acoustic guitar, including a pair of duo albums with Philip Catherine and the well-known Guitar Trio with John McLaughlin and Paco de Lucia. In recent years he continued recording and touring, and there was a new Eleventh House album planned for the summer of 2017. Coryell died in a New York hotel on February 19, 2017.